Picture books for your little scientist to encourage them to stay with their dreams, continue to be curious and explore the world! Science, technology, engineering and math are all fields full of careers for the future. Girls have not always been welcome in these fields, and often feel as though they don’t belong. But women have fought to make a place for themselves and their groundbreaking ideas. Here are a few picture books for your little scientist to encourage them to stay with their dreams, continue to be curious and explore the world! A wonderfully fun romp through the perils of not thinking through the consequences of applied technology, our young heroine has built an awesome robot for her science fair. But, perhaps she shouldn’t have given it the super claw, laser eye and power to control dogs’ minds. Follow up with the 2014 Oh No! Not Again! Or How I Built a Time Machine to Save History (Or at Least My History Grade). Creating a hypothesis, setting up testing parameters, testing and drawing conclusions are all essential parts of doing science. So is failing to get the result you expected. The protagonist of this picture book comes up with silly questions to test and hilarious results. 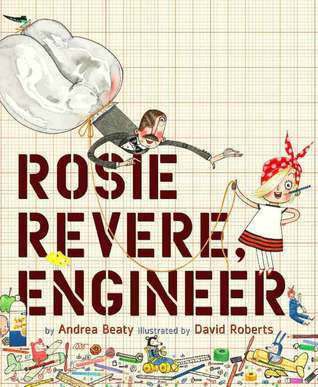 Rosie is shy about her inventions, especially after an uncle laughs at one of them. But her Great-great aunt Rose (of Riveter fame) encourages her by letting her know that even if an invention fails, it’s not a failure until you quit trying. Nine-year-old Sophie’s dad captains an icebreaker ship that is headed for a month long trip to Antarctica to deliver supplies and people to a station there. 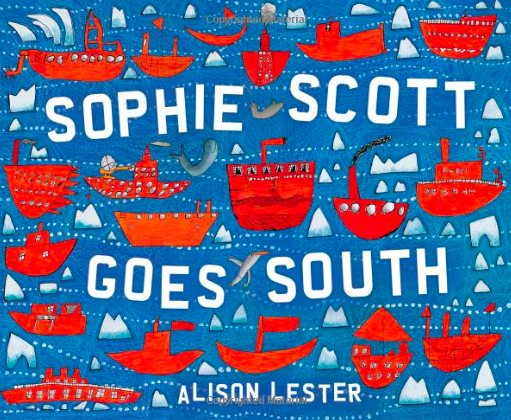 Sophie draws maps, talks about wildlife, Antarctic explorers, icebergs and more. Great for your wanna-be explorers and ecologists. A girl has an idea to build the most magnificent thing. She knows how it should work and look and now she just needs to build it. But it’s harder than it seems. Fortunately, her dog encourages her to take a walk and she gets the inspiration she needs to make the thing she’s been dreaming of.